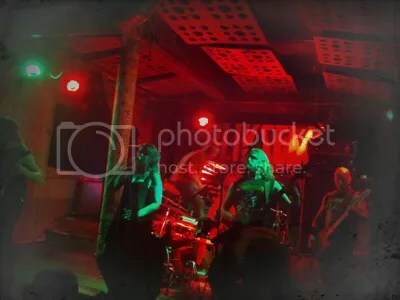 It’s been over a month since Flotsam and Jetsam returned to Scotland – the first time in a couple of decades, none-the-less – and yet, their performance at Glasgow’s Stereo venue is still stuck in my mind, firmly holding one of the top spots in the list of memorable events. It seems only justified to put pen to paper, or text to internet in this case, to spread the good word. Holding only a capacity of 300, the venue’s main gig room provided a very much up-close-and-personal atmosphere, aided in no small part by the fact that there are no crowd barriers for the three foot high stage, and members of Flotsam were quite happily mingling with the rest of the crowd. 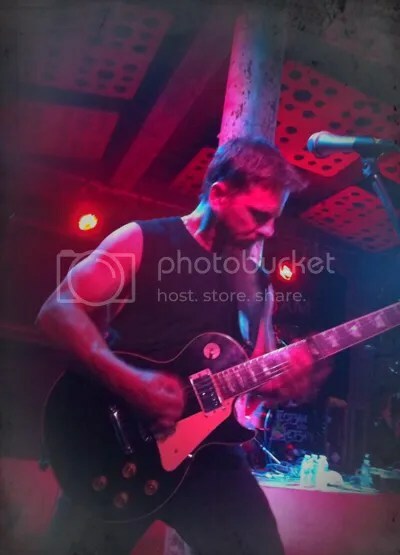 It’s testament to their down to earth nature that a band who have featured former members who went on to join the likes of Metallica and Prong, and who have played to massive audiences all over the world, still clearly see themselves as ‘one of us’. The supports for the night are all very apt; Circle Of Tyrants step up first, receiving a warm response for their Testament-meets-Beholder stylings, followed closely by technical street-thrashers, Black Talon, promoting their fresh debut Endless Realities. There’s a constant stream of stage diving on the go, with enthusiastic thrashers repeatedly braving the possibility of cranial damage from the support pillars on the dance floor. When Bliksem take the stage, it’s much to the surprise of those few in the audience who have checked them out in advance. They blast out a sterling performance, which, according to the opinions of those in the know, surpasses the recorded works available from them online. Of course, the crown absolutely and positively goes to Flotsam and Jetsam themselves. They know their audience well, and don’t try to push newer material on them as hard as some others may do in a similar position. In fact, it only seems to be Gitty Up which makes an appearance from 2012’s Ugly Noise. The initial focus is firmly on the early classics, and it’s a decision that sets necks a-snapping; No Place For Disgrace, She Took An Axe, Desecrator – even Der Fuhrer makes an appearance later in the set. Surprisingly, the crowd erupts even further when mid-nineties number, Smoked Out, comes powering in with its iconic opening riff. While it is a little sad that Jason B Ward and Kelly Smith (formerly bass and drums respectively) couldn’t make this outing, but the lack of their presence is more than made up for by the sheer enthusiasm of Michael Spencer and Shadows Fall’s Jason Bittner (again, bass and drums respectively). Throughout the performance, there’s no slacking. No making do. When it’s full force thrash, it’s full force thrash, no quarter asked or given. Where frontman Eric A K maybe can’t quite hit some of the high notes he could in his youth, he has developed equally as effective means of delivering the same power. The riffing is as fast, tight and furious as ever on all fronts, and younger bands could learn a thing or two here about dedication and determination. Flotsam and Jetsam may be a band that’s getting grey, but this ain’t no placid dinosaur! It’s a sabre-toothed cat the size of a school bus! We are really pleased with the artwork which totally captures the atmosphere of this album. Costin has a unique style and immediately got what we were looking for. Severance was recorded during what was a pretty stormy time in the band and against the backdrop of some very atmospheric natural scenery in one of the remotest parts of the west of Ireland. I think all that certainly comes across in the music and we are looking forward to finally unleashing it this summer! Darkest Era will headline North Of The Wall which takes place at The Classic Grand in Glasgow on Saturday 29th March 2014. Also on the bill are Dread Sovereign, Toledo Steel, Bonesaw, Firebrand Super Rock, Amok, Plague Rider, Storm Of Embers, Bacchus Barecus, Norderobring, Nolti Nan Gana Nan Nolta and Disaster Area. For tickets and more info, head to this location. Cruz Del Sur Music are pleased to announce their recent inking of a deal with former Metal Blade artist Darkest Era. As such, the band will be releasing their next album Severance via Cruz Del Sur Music. 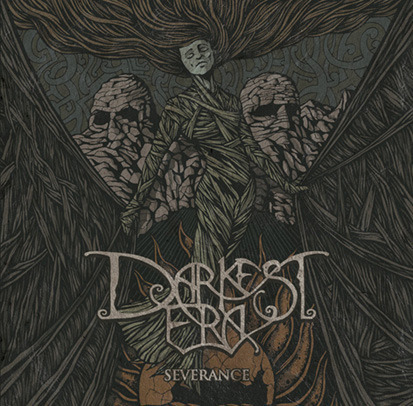 Since their formation in 2005, Darkest Era have progressed their special and original ‘Celtic Heavy Metal’ formula, with epic compositions influenced by the darker side of Irish folklore as well as the classic, double twin-guitar duelling of bands like Thin Lizzy and Iron Maiden. We are excited to be working with Cruz Del Sur to finally get this beast uncaged. The label has put out some amazing records in recent years and we feel we are in very good company. Severance will be released 13th June in Europe and 3rd June in the US digitally and physically (CD/Vinyl). Darkest Era are also confirmed for a headlining appearance at this year’s North of the Wall Festival in Glasgow, which will take place on 29th March. Further information on the North of the Wall Festival can be found here. After what was a huge 2013 for them, Lonely The Brave have announced Scottish newcomers Fatherson as the support act for their first ever headlining UK tour, which will include a hometown show at Cambridge. 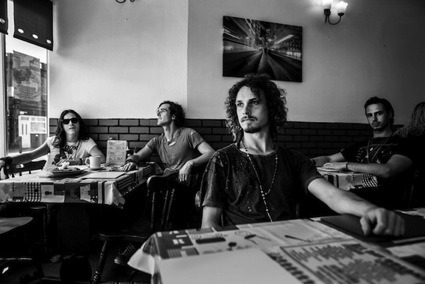 Having sold out their previous London gig at The Lexington, the band is booked to play Cargo on 30th January and last month announced 9 additional nights to that original show making up the bands first headline tour. 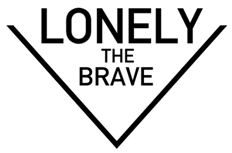 Lonely The Brave have also been confirmed as the only support act to Long Island rockers Taking Back Sunday at their already sold out show in London at Camden’s Koko on 26th February. 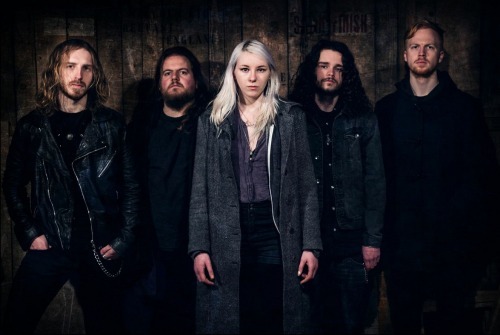 Morgul, the organisers of North of the Wall, Scotland’s only metal festival featuring only Scottish metal acts, have announced the first bands for this year’s North of the Wall Festival which will take place on Saturday 29th March at Classic Grand in Glasgow. Firebrand Super Rock, old school death metallers Bonesaw, thrash unit Amok and Nolti Nan Gana Nan Nolta are the first four bands to be announced for the festival. Ticket information is to be announced and further news on the festival can be found at this location. 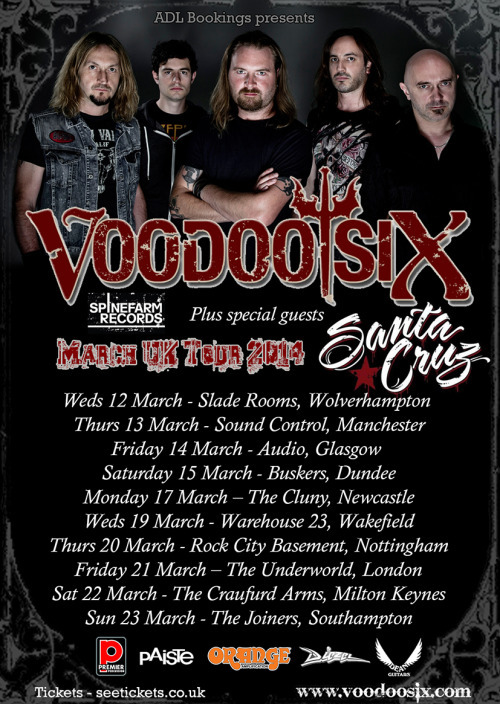 Tickets are available from See Tickets and the venues.